Provision: The teachers working in the schools under Government, Localbody, Tribal Welfare (ITDA), Social Welfare, TSRIES, TSSWRIES, TSTWRIES, Disabled Welfare and Aided Managements will be released teacher grant 0 Ra.500/- per teacher per annum. 1. 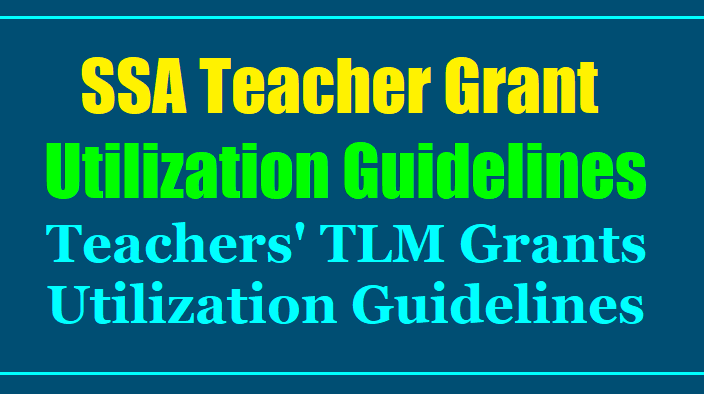 50% of grant to be utilized for temporary TLM and 50% for permanent TLM. 3. Every teacher should prepare the list of required material, class-wise & subject-wise and submit the same to the HM. teachers duly considering lists prepared by the teachers subject-wise and class-wise. 5. The Head Master should procure the permanent TLM with the help of a senior teacher. for preparation of temporary TLM. 7. TLM prepared by the teacher should be displayed in the school complex meetings also. 8. Material purchased is to be entered in school stock register. Note : Downloading Videos & PPTs from suggested websites with regard to syllabus. 1. Building Blocks Rs.200/- (Uses : 3-D shapes – areas, volume, Verification of algebraic identifies, tables-Concept, square roots, squares, cuberoots,Bargraphs).